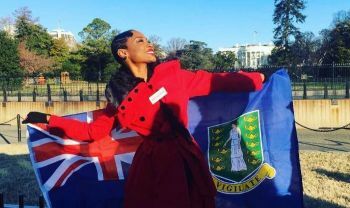 ROAD TOWN, Tortola, VI- The Virgin Islands (UK)’s representative to the 66th edition of the Miss World International Pageant which took place in Washington DC on December 18, 2016, Kadia K. Turnbull, has described her experience as an “awesome” one. Turnbull, 26, was crowned Miss World BVI 2016/2017 on Friday, November 25, 2016 at The Moorings Conference Room during the Coronation and inaugural Beauty with a Purpose Philanthropic Awards Ceremony. And while Turnbull did not emerge in the top five at the Miss World International Pageant, the territory may be set to benefit in terms of getting a support system for persons suffering from depression. Turnbull said her honesty in her interviews was seen by the Miss World Organisation and said it would like to help. “They saw that I was genuine with it [depression] and the fact that we don’t have an official support team in the BVI to help us who are suffering from it, they really are interested in having a conversation with me with regards to stepping up here in the BVI, and making sure that any tools or funds or any connection I need to make it happen and to make it progress as a way to help those in the community, happen,” Turnbull said in an exclusive interview with Virgin Islands News Online. “That’s another aspect that I really like, they stay true to what they are about and they definitely help persons in need via the ambassadors that came to represent their countries,” she added. “It was awesome, it was really educational too. There were 118 women from other parts of the world and it was really awesome to learn each of their personalities and about their home,” she said. The Miss World BVI remarked that she made lasting friendships during her three weeks and, despite the cold weather, she is of the opinion she represented the territory well. In addition, her selfless deed of helping out some of the other women to get their dancing right earned her an invite from the choreographers to assist them in the event that she is near where the next global pageant will be held. “Where I saw someone needed an extra push, an extra guidance I stepped in and helped and I had no idea that the organisation was watching all of that,” noted an elated Turnbull. She also mentioned that while it was a competition, it never felt like one. 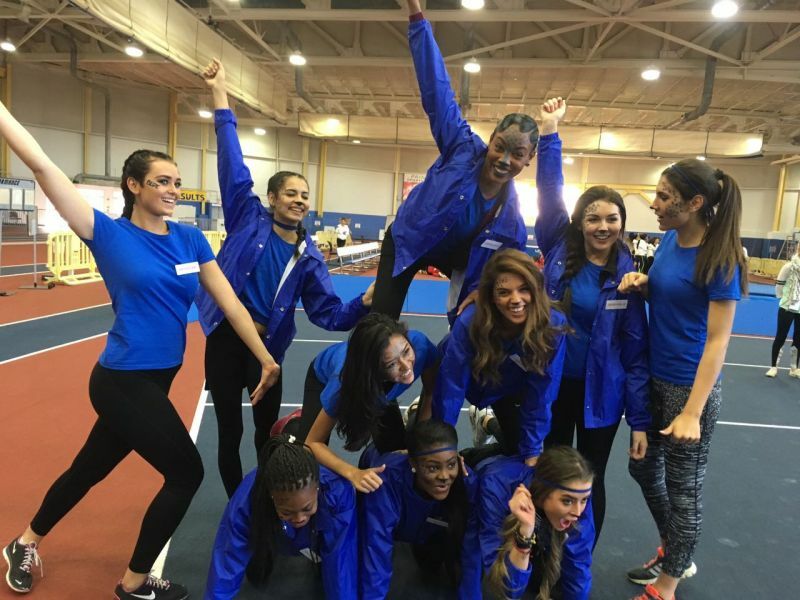 “It really and truly felt like we were among family. They went above and beyond to make us comfortable and they didn’t make it a cut-throat competition,” adding that she would not hesitate to encourage anyone to follow suit. And Chairman of the Miss World BVI Organisation, Mr Damian C. Grange who was confident from the inception of Kadia’s abilities, said her energy, exuberance, dancing abilities and team spirit were recognised by many. 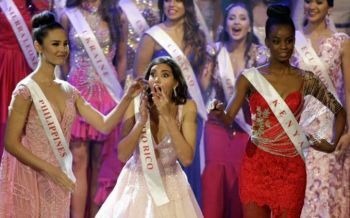 Meanwhile, Stephanie Del Valle of Puerto Rico was crowned Miss World 2016, edging out runners-up from the Dominican Republic and Indonesia in the 66th edition of the pageant. The Miss BVI World Organisation is currently accepting applications for the 2017 pageant, slated to be held on July 15. In addition, nominations for the awards for Outstanding Philanthropist, Outstanding Philanthropist Organisation, and Lifetime Philanthropic awards are now open and this time around an independent committee is being set up to make the final decision. Persons can contact Mr Grange or any of the members of the organisation with their nominations. only in the BVi they just give away crowns! pat I an just so sick and tired of you all negativity. Then run dammit!! Stop walking and RUN! Its not her fault the others dropped out and with the span of time they crowned someone. Y'all so sickening when people looking for contestants for pageants you never see but soon as they crown someone y'all moaning and complaining about it. Deal with it. In order to combat depression in the BVI we first have to get rid of the NDP government. We are very proud of you and would like to thank you for representing the BVI at Miss World. May God continue to order your steps as this is just the beginning. I really don't see why government spend money on this anyway. What are the chances that we would have someone placed in even the top fifty? Waste of fetching time and money, if you ask me. Its people like you, that make the girls feel worthless half of you only see the pageant night but never follow the actual pageant. Women who win and complete things like this are not just regular people they are lawyers, doctors and journalist to name a few and go on to become worldly know but with the mentality you and other people have we in the bvi will never get anywhere and its not just with pageantry, it's with anything someone is actually doing. It is like you all cannot support anyone in their endevours unless its a really close friend or relative. Ya'll truly sad in this place. And what are the chances you ask if we would take it seriously we can actually make it but ya'll to bad mind. Most only see TORTOLA not WORLDWIDE. You all are missing the point. It is not about the money spent to go to Ms. World. It is about representing your country in the best way by advertising worldwide about BVI. Many other countries does this market their country and to be recognized. Congratulations Kadia. You represented BVI very well.